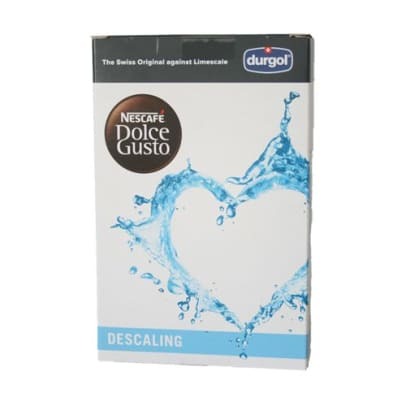 Original descaling kit from Dolce Gusto. 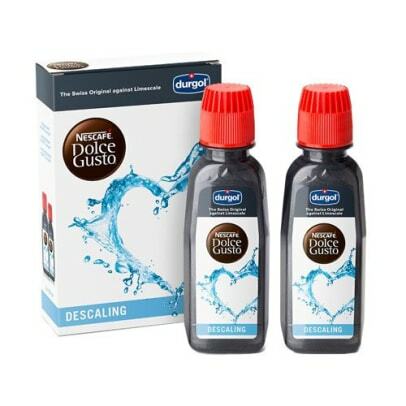 Contains two packets of liquid descaling a 100 ml. The water can be very hard and might deposit calcium in your pod machine. It is therefore important that you regularly descale your machine. We therefore recommend descaling every month. Machine begins to drip at the outlet. The warranty on your machine will lapse if not regularly decalcified Contains 2 servings, each suited to a tank full of water.